HENCE YOU WERE ABLE TO JOIN OUR MANDIR ON THIS AUSPICIOUS DAY. TODAYS DATE IS 9 TOO. YOU ARE INDEED SAI BLESSED CHILD.DON'T WORRY.HE WILL TAKE CARE. and that the middle of the night is always also the beginning of the new day. May you feel HIS love, protrection and care every moment, every day. Welcome to bless mandir of Baba. I agreed with Astrid and Subha ji. Ankitji..dont worry..Baba will surely help you and will never ever let you down. Trust HIM and all wil be well. Welcome to this awesome Mandir.You have been led here by Baba's will and not by chance. Tough times does not last but tough people like you do.Every situation will pass and this one too will.After a storm there is a calm and after a calm there is a blossom.Your blossom is right round the corner and it just requires only a little more faith on him,patience and earnest expectation of good and happy times ahead in life. We all sincerely pray Baba to bless you with all the blossoms of your life. 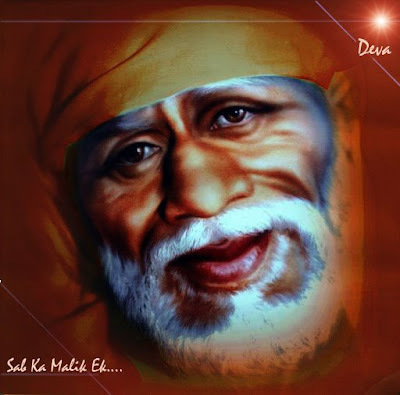 OMSAIRAM!ANKIT ji,Welcome to Sai baba 's online Mandir. Please have Shraddha and Saburi on BABA and do take UDI WITH WATER AFTER INVOKING HIS BLESSINGS. You can also ask Veena Gupta ji to pray for u in Sai Amrit Vaani on this Thursday. You can read more abt Veena Maa in Sai Amrit Vani in devotees Experiences column of this forum. Veena Gupta's Telephone numbers 26346942 or 9810714688. I just found this site and I'm very glad and happy I did.I would love to be part of this forum and make friends and share experiences. I am sure you will enjoy being in our mandir. help and pray for you very sincerly. It is all Sai's grace that we have found each other. WAITING TO HEAR ABOUT YOUR SAI EXPERIENCES. dON'T MAKE US WAIT TOO LONG. Supreetha dear welcome to BABA SAI's Blessed Online Mandir. You said you found this forum and I say this forum found you. You are welcome and all would like to know something more about you. You have come on this Wonderful Day - Inernational Women's Day. om sai namo namaha,om satya sai namo namaha,om satguru sai namo namaha,jai jai sai namo namaha. WOW! Nice to have you in. Nice to have another wonderful sister amongst us. Thanks for the brief introduction. Yes! You are fortunate not only for that you found this forum but the way you express your gratitude about MY BABA SAI. Keep it up. Keep THIS kind of faith in MY BABA SAI. Good once again. 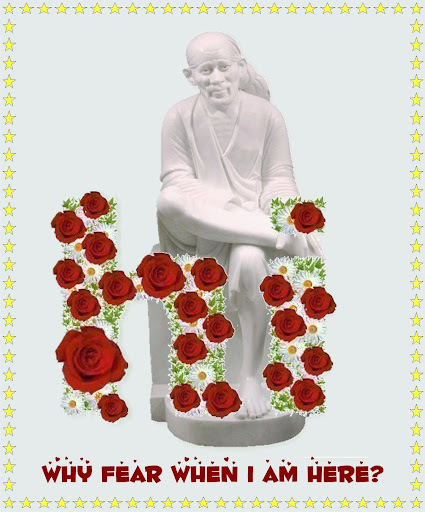 MAY BABA SAI BLESS SUPREETHA DEAR. Page created in 0.448 seconds with 70 queries.